Did you ever go to London’s Science Museum as a child? One of the best bits was being able to turn handles, press buttons and make things happen! Sadly many Meccano shows are characterised by signs saying “Do Not Touch!”, but not at the Abbey Pumping Station in Leicester. 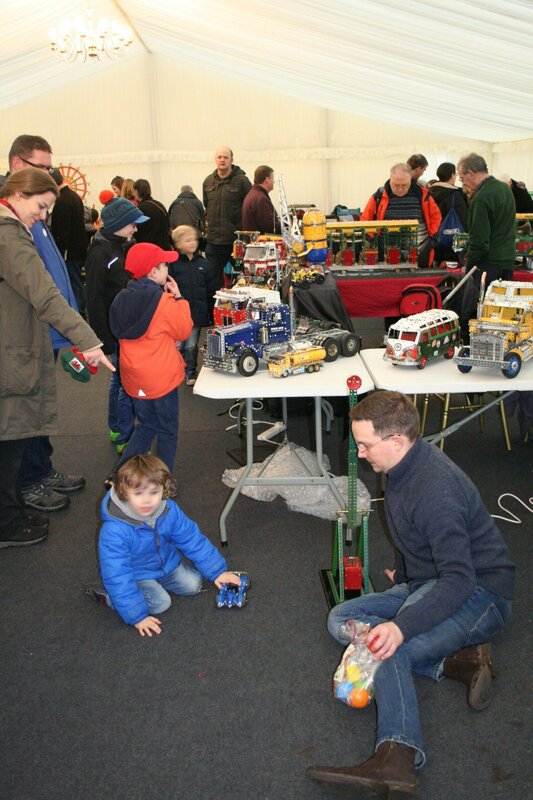 This has been the first on my calendar for the last four years, and its organisers, Wendy and Rob Miller, always make sure that there are plenty of hands-on experiences with loads of child-friendly bits to play with. Who knows what any of them will become – but remember the testimony of so many of us for whom things mechanical became a life-long passion – it began when we were first allowed to push buttons, turn handles, and make things happen all by ourselves. This entry was posted in Uncategorized and tagged Abbey Pumping Station, Meccano. Bookmark the permalink.